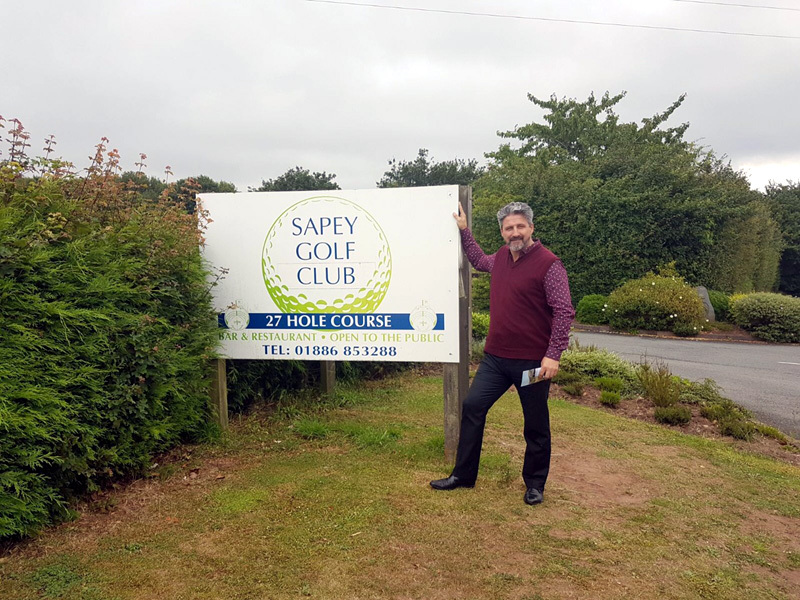 Sapey Golf Club, near Bromyard, which was set for closure this summer, will now remain with its doors open! Wyldecrest Parks has just bought the popular county golf club, saving 24 jobs. The venue had been put up for sale last October and it was due to close its Oak Course on June 30th and both the Rowan Course and the Footgolf on August 11th. Owned by the same family since it was founded in 1990, Sapey Golf Club now belongs to Wyldecrest Parks, which has recently become the largest park and holiday home operator in the UK, owning 58 parks across the country, including Saltmarshe Castle Park, in Bromyard, acquired by the company in 2015. “Because of Saltmarshe, Wyldecrest is now deeply involved in the area and with the local community so this move only felt logical, to be honest. It’s just an extension of the roots we already have here”, says the owner Alfie Best. Wyldecrest Parks’ Chairman visited the venue to meet the staff on Wednesday, June 28th, and guaranteed that for now the business will keep running as usual. In the future, more jobs will be created, the courses will be improved and new facilities will hopefully emerge. Alfie Best revealed that his plans are to apply for planning permission to extend the club house and also to install a gym and a swimming pool. “We have one lodge already on site and planning permission for another three so it’s definitely our intention to promote this venue as the perfect destination for golf holidays”. In reality, that reflects what the company has been looking to do with Saltmarshe Castle Park through partnerships with local companies and attractions, in order to sell the park and Bromyard across the country as the perfect adventure and outdoors destination. And the company assures that would be delighted to discuss any further opportunities with other businesses in the area that could be beneficial for both Saltmarshe and those businesses’ customers, such as touristic attractions, pubs/restaurants or even local produce shops. “This region has a lot of potential and I truly believe that Wyldecrest can contribute for its increase and improvement but if we really want to be on the map, as a destination of choice, we all need to work together”, Alfie Best remembers. And about the future of the golf course, he adds: “Our main goal will be to bring the golf club up to its former glory, at the same time we create more jobs, invest in the region and bring revenue to the local community”. The Wyldecrest Parks’ Chairman, who is now also the owner of Sapey Golf Club, also detains, amongst others, the Vinyl Bar chain, Best Park Home Finance, Kyoto Furniture and Best Commercial Properties. In the meantime, a massive investment is still undergoing at Saltmarshe Castle Park, which has recently attained a residential licence for Tower Court, a brand new development on park.